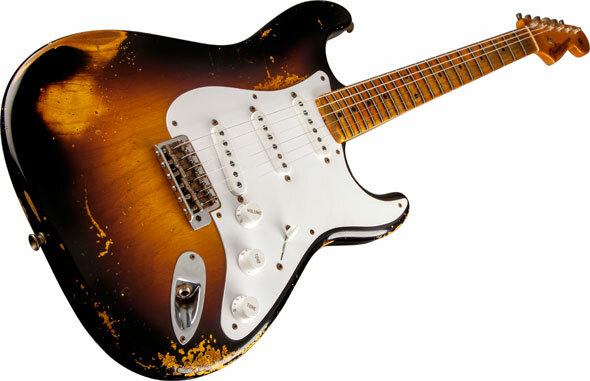 ​The Fender Custom Shop celebrates the diamond jubilee of the world's greatest electric guitar with the 60th Anniversary 1954 Heavy Relic Stratocaster guitar. 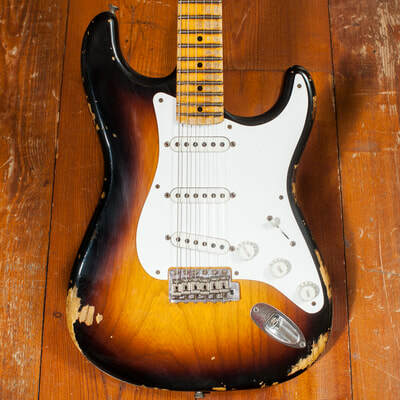 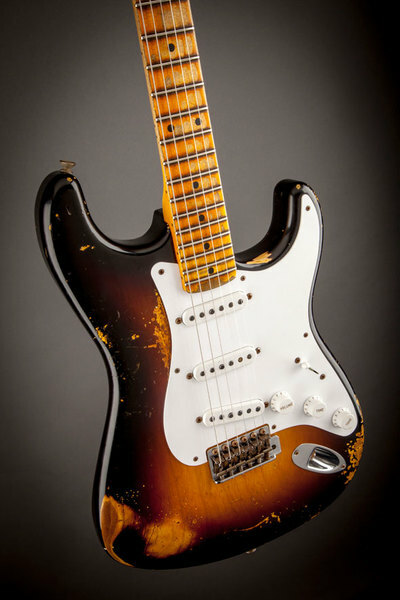 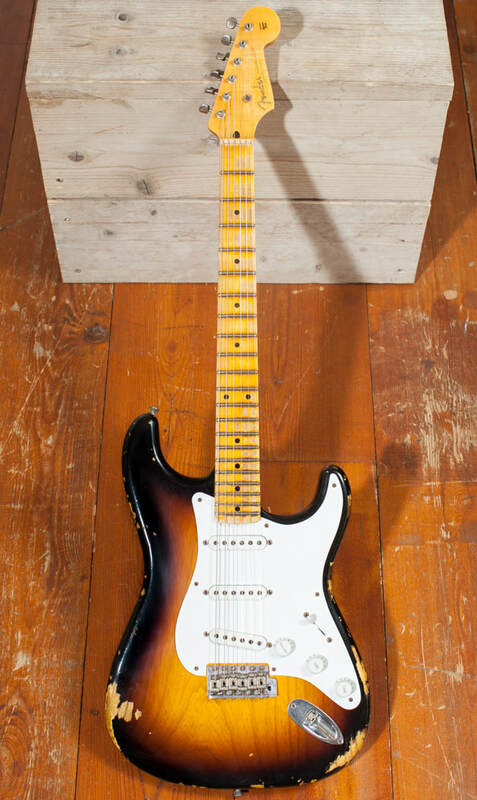 This special guitar honors the Stratocaster's very first model year and is finely crafted with a rich selection of features and appointments, in addition to a heavy relic treatment that evokes decades of use, abuse and hard-fought wear and tear. The one-piece ash body features a battered nitrocellulose lacquer finish in the model's original Two-color Sunburst. 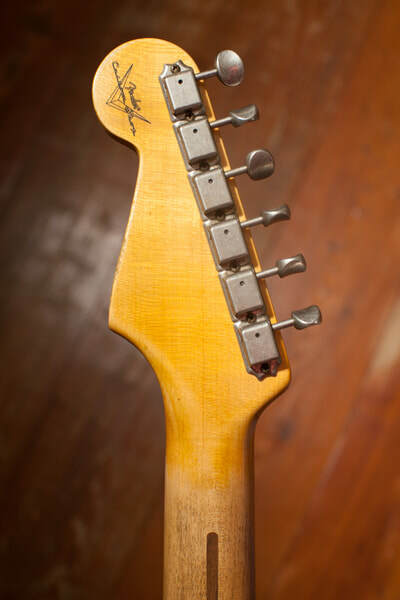 The one-piece quartersawn maple neck has a comfortable 1954 U-shaped profile and tinted lacquer finish, and the maple fingerboard has a 9.5 radius and 21 6105 frets for smooth modern playability. 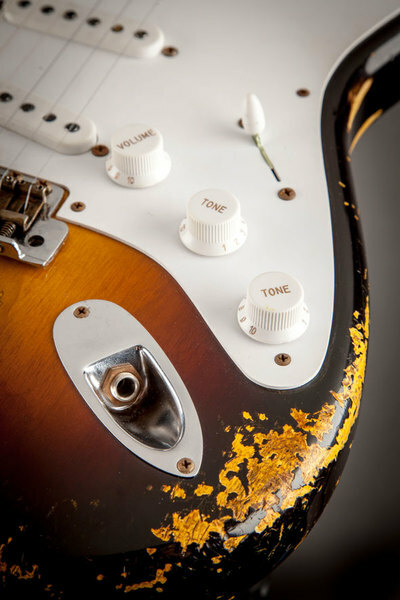 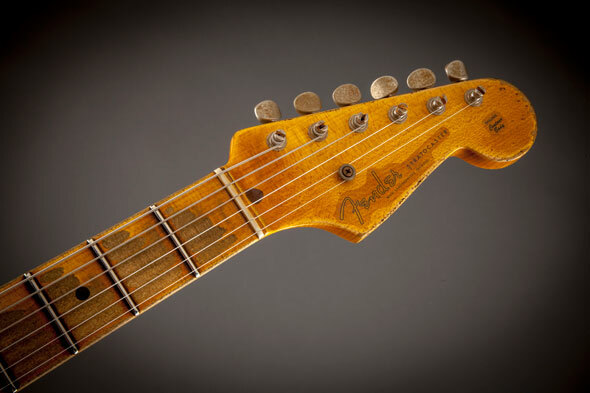 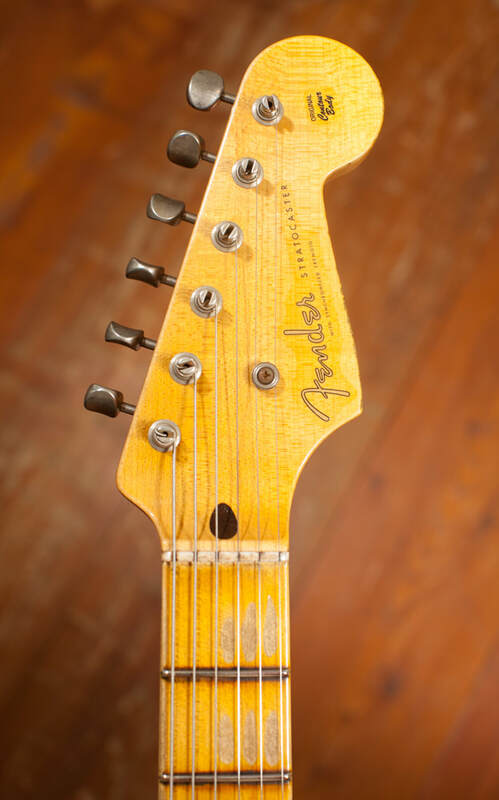 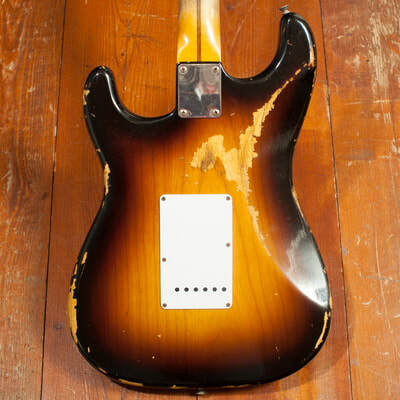 Three 1954 single-coil Stratocaster pickups deliver a singing original-era voice. Other features include modern five-way pickup switching, a single-ply white pickguard, synchronized tremolo bridge with six patent pending saddles and serial number-stamped trem plate (a special 1954 touch), vintage-style tuners and nickel-chrome hardware. 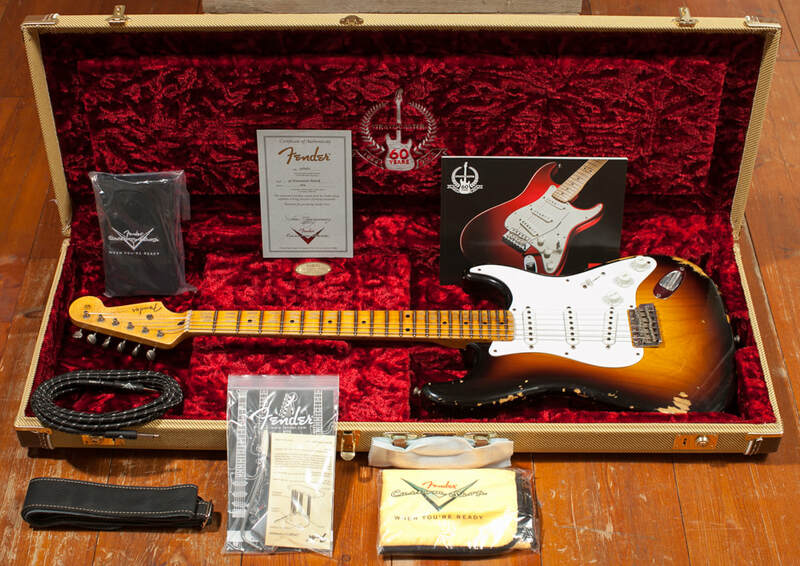 The guitar comes in a tweed center-pocket case with Stratocaster 60th anniversary embroidery and an included 60th anniversary commemorative book.